When you’re wearing almost nothing, you’re going to feel everything. Half as thin as comparable condoms, 004 condoms are made of a high-tech latex called Sheerlon®. You can see – and feel – the difference. All our condoms deliver proven protection against pregnancy and, if used properly, will help reduce the risk of transmission of HIV infection (AIDS) and many other sexually transmitted diseases. 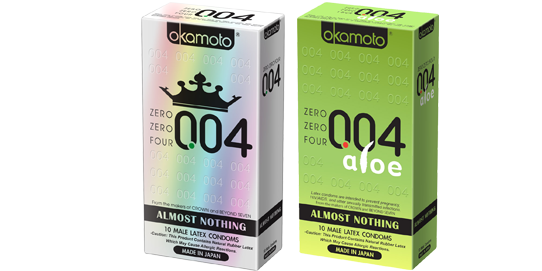 Plus, each 004 condom is individually tested with precise electrostatic technology to maximize dependability.